크라쿠프, 폴란드의 원 월드 호스텔 | 호스텔월드에서 예약하세요. Pre payment 50 % 30 days before group arrival ,the rest to pay 2 weeks before or in the day of arrival. 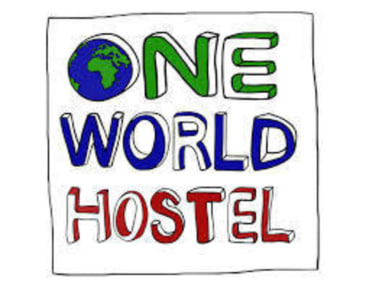 Set in a stylish, historical building, recently renovated, One World Hostel boasts not only an unbeatable location but also great social atmosphere. We are 4 minutes on foot from Main Railway Station and 6 minutes on foot from Market Place, so there is no better base to explore the City! We provide accommodation for 94 people in dorms for 2,4,6,8,10,12, all in spacious lodging overlooking Planty - the City Park. Common areas as a spacious lounge with cozy couches, TV and PlayStation, give opportunities to socialize while planning next tour or party. There is a fully equipped kitchen with free tea/coffee available 24 hour. The reservation can be cancelled 48 hours before the arriving FREE, after this date we charge the credit card for the whole stay. Payment accepted on arrival :Credit Cards, Debit Cards, Cash PLN. For me, it was great:)It's near the city centre, price is very reasonable, good breakfast, warm atmosphere, kind staff...:) I really enjoyed traveling Krakow thanks to this hostel. 중앙역에서 멀지않고 리셉션 엄청 친절합니다. 조식 포함이고 시리얼과 빵 나오는데 퀄리이 좋아요. 샤워 물세기가 좀 약한데 그닥 불편 사항 아니고 만족스러운 호스텔입니다. 하나 불만족은 거실 옆방이었는데 새벽까지 술먹고 떠드는 애들 때문에 잠 엄청 설쳤네요. 호스텔 곳곳에 10-6 콰이엇아워 적혀있는데 리셉션 바로 옆인 거실에서 새벽 까지 떠드는데 아무 제지 없었네요. 장점은 직원이 친절하다는 것..? 새벽에 도착해서 로비에서 자고 있는데 담요 덮어줌ㅋㅋㅋㅋㅋ 그리고 위치가 정말 좋다. 백화점까지 5분, 중앙역까지 10분, 구시가지까지 5분, 유대인지구까지 15분 정도로 다 걸어갈 수 있어서 정말 좋았다. 조식은 그냥 빵과 시리얼이지만 싼 가격에 조식포함이므로 만족. 단점은 그렇게 깨끗하지는 않다는 것ㅠㅠ 화장실 진짜 좁고 샤워실도 그저 그렇다. 개인 라커 키를 주는데 정사각형 형태로 배낭 들어가는 정도로 작다. 그냥저냥 괜찮은 호스텔 이였어요. 위치는 좋구요. 근데 완전히 큰 대형 호스텔이린 북적이고 사람들 많고 그랬네요.